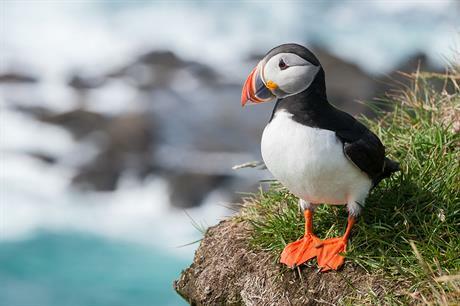 UK: A judicial review in to the construction consent for four Scottish offshore projects has repealed the government's approvals following a complaint by the Royal Society for the Protection of Birds (RSPB). The long-awaited judgments from the Scottish Court of Session backed the RSPB's objection that the Scottish government did not properly consider the environmental impact of the projects and the effect they may have on seabirds. As a result of the ruling, the SDIC-owned 784MW Inch Cape, Mainstream Renewable Power's 448MW Neart Na Gaoithe and the Seagreen joint venture's Alpha and Bravo projects totalling 1.05GW have had their approvals overturned. The Scottish government has 21 days to decide whether or not to appeal the ruling. Scotland's minister for business, innovation and energy Paul Wheelhouse said the government would "carefully consider [the judgment] and its implications". "The Scottish government remains strongly committed to the development of offshore wind energy... Clearly, protecting Scotland's marine environment is of paramount importance: it is at the heart of the Scottish government's approach to offshore renewable energy applications, and we are keen to work constructively with both the RSPB and renewable energy developers to ensure the sector has a bright future in Scotland," Wheelhouse said. The four projects first won approval from the Scottish government in October 2014. The RSPB took its challenge to the courts in January 2015. "Unfortunately, consents were granted when thousands of gannets, puffins, kittiwakes and other seabirds from iconic internationally protected wildlife sites like the Bass Rock and the Isle of May were predicted to be killed every year," the society said. "RSPB Scotland is now keen to work with all parties to ensure we focus efforts on delivering much needed renewable energy in a way that does not threaten Scotland's internationally important wildlife. RSPB Scotland will continue to robustly resist any projects, which threaten Scotland's best places for wildlife. However, we also remain resolutely supportive of the development of renewable energy sources in Scotland," said RSPB Scotland's head of conservation policy Lloyd Austin. Trady body Scottish Renewables' senior policy manager Lindsay Roberts, said: "This is extremely disappointing. Given the very significant levels of investment, employment and clean electricity these projects would deliver, I am sure that the Scottish government and the developers who are involved will now want to look at the judgment in detail and assess the ruling before deciding how best to proceed." The ruling deals a further blow to Mainstream's Neart Na Gaoithe project, set for a site 15 kilometres off the Scottish east coast. In 2015, the site was awarded a contract for difference (CfD) subsidy by the UK government. However, due to the delay in the court judgment being handed down, Mainstream entered an arbitration process with the Low Carbon Contracts Company in May to avoid the contract being voided due to missed milestones. A spokesman for Mainstream said today's ruling was "not the end for the project". "We note the court's decision. While this is a setback in our development plans for the Neart na Gaoithe offshore wind farm, we remain committed to taking forward this project," the spokesman said.